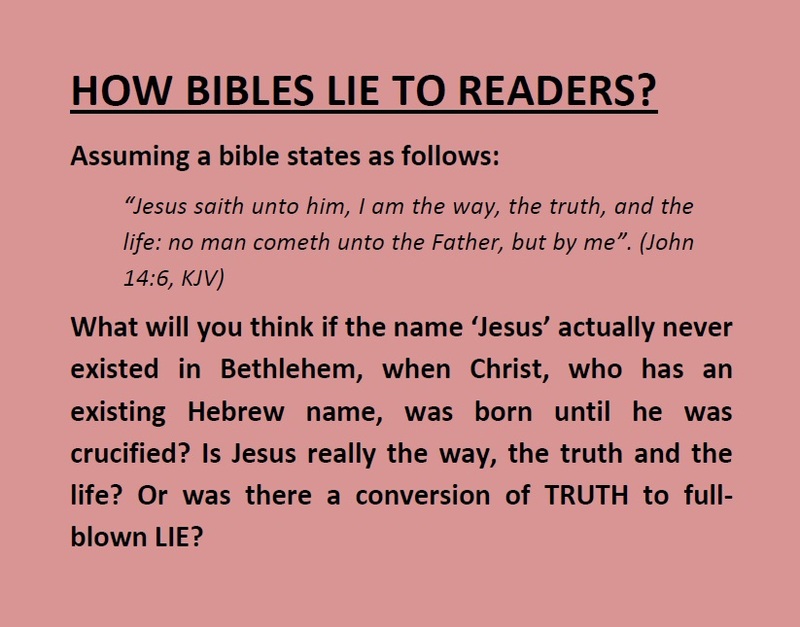 Is the bible really holy and telling the truth that the true name of Christ is Jesus? These issues are worth discussing because billions of Christians are believing on the bible as holy and that allegedly, it contains the whole truth. Are these alleged holiness of the bible and truthfulness in it really so? The hypothesis that maybe drawn as starting point for the discussion is that the bible is not holy, as it does not tell the whole truth.